Note by Ian: Azi is a new columnist here at Ian's column. He is an experienced bass fishing instructor and river fishing guide. This is his first article on this column. It’s most likely won’t try to attack you as long as you give it space. If you hear it hissing, then it’s agitated and might lash out if you do not move away. If it is moving directly towards you, then you want to leave the area immediately, as it has most likely decided you to be its next prey. Leave the area immediately. Most importantly, you need to know that at times you should forgo your bravery and call the police. 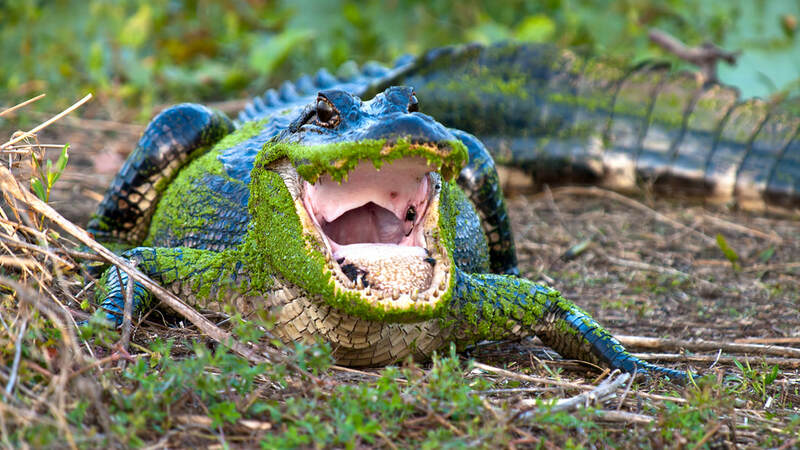 If the alligator’s pestering behavior persists, you should contact the police immediately and they will take care of it for you. 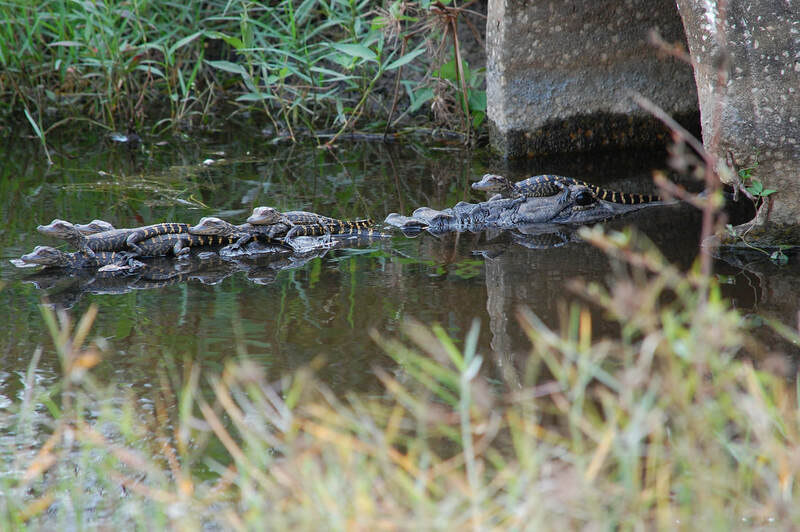 Above: Croc moms are especially easy to agitate. Hopefully, the next time you encounter one of these creatures you will know what to do! When most people think of baitcasting rods and reels, they think about heavy gear, heavy baits, and heavy fish. After all, the baitcast reel is designed with a spool that responds best to heavy baits. In the US, people use baitcasting gear for fish the size of bass and bigger, such as catfish. 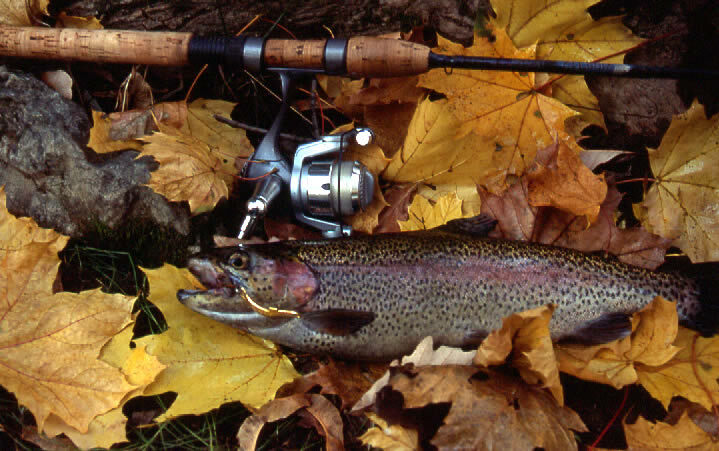 However, in Asia, people use baitcasting rods and reels for a different application; fishing ultralight. In Japan and other countries, access to fishing waters is heavy limited as a result of urbanization and transportation access. They are forced to compete fiercely to fish in the few public waters available. The fish in those lakes are very wary, easily spooked, and frightened by big, awkward, or unnatural baits. As we discussed in earlier articles, this kind of environment ensures that innovations are made in finesse fishing. The Japanese, being perfectionists, have perfected their finesse baits and equipment to such an extent that Japanese fishing tackle, otherwise known as "JDM" (Japanese domestic market), is heavily coveted in America. Shimano, Daiwa, Okuma are well known rod and reel brands founded in Japan. Jackal, Lucky Craft, Megabass are some popular and high end baits that originate in Japan. 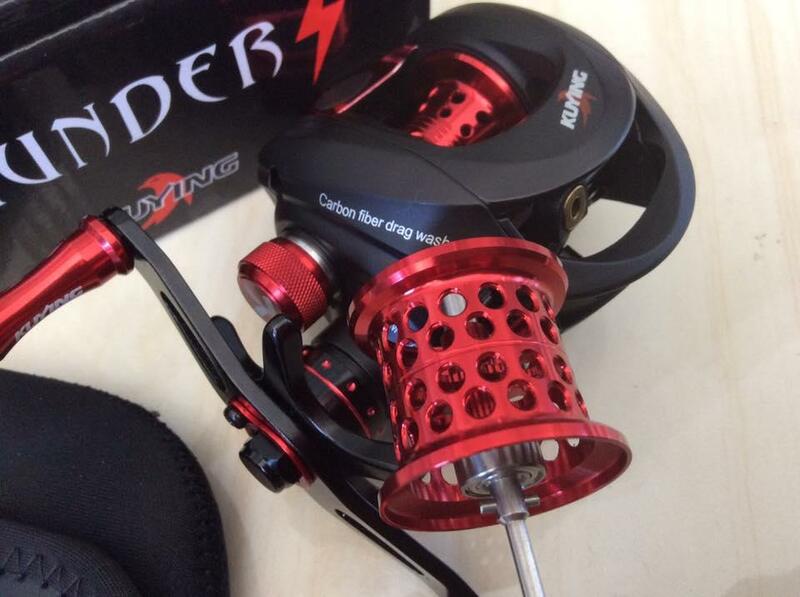 Baitcasting gear has several advantages over spinning tackle, such as increased accuracy. However, the limitations of using baitcasting gear ensure that smaller baits, such as inline spinners and weightless worms, can't be used. Above: The Kuying Teton is a finesse baitcasting reel commonly offered in Asia. It is usually used for small snakeheads, which are found in city creeks and tiny ditches. Note that the spool is heavily milled, with many holes to reduce weight, allowing for tiny baits to be casted. Note: I do not own this picture. The Japanese found that by optimizing the number of bearings and gears in the baitcast reel, and creating ultralight spools, they could cast some very small baits. They could cast 1/8th oz baits, and even 1/16oz baits, a feat previously unheard of in the fishing world. They combined the accuracy and efficiency of the bait caster with the ability to cast light weights. 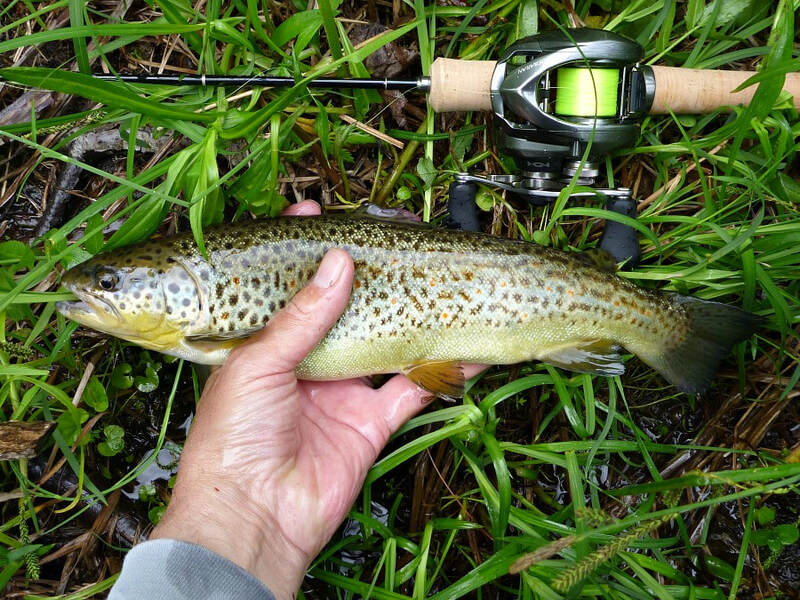 Some Japanese anglers wanted to use baitcasters for trout. In a small trout stream, there are many overhanding trees (which is why you see so much fly fishing line on branches over a creek). These finesse baitcasters had the accuracy to cast into tight spots, unlike spinning reels. They paired up ultralight baitcasters with ultralight action casting rods and used inline spinners, small jigs, and spoons. 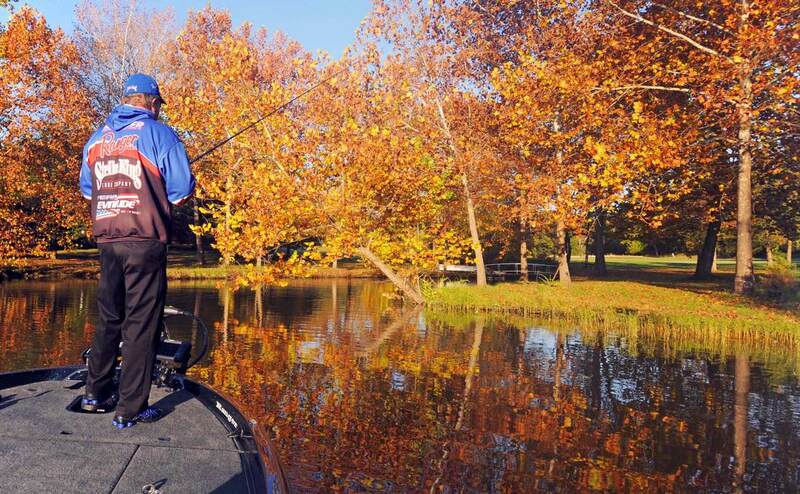 The spring and summer are magical times for bass fishing. The warm waters speed up the fish's metabolism, which in turn heats up their appetite. Fish that wouldn't eat even the most enticing finesse baits in the winter will bite crudely presented baits attached to 60lb bright yellow mono. In the summer preceding the cold months, this feeding frenzy becomes even more heated; the fish need to stock up on fat reserves to outlast the barren winter months, when the prey becomes sparse and their metabolism becomes very slow. Cold blooded animals, such as fish and their prey, rely on the water temperature to control their metabolism, which in turns controls their movement and appetite for food. The early days of fall are usually very productive, as the water is still warm but more importantly, the fish sense that winter is just ahead and they need to stock up on food. In those days, anything you would use in the summer would work. 5 inch senkos are still very productive (keep in mind that senkos, especially when wacky rigged, are mostly a warm water bait). However, when those cold snaps start to begin, and you start to see frost on the ground in the mornings, it is a good time to change your strategy. Start with smaller baits. Downsize everything. If you fish 10 inch worms, fish 6 or 7 inch worms. If those baits have frills, get baits with less frills. The coldwater bass want smaller but easier to catch food items. Due to their slow metabolism and the need to conserve precious energy, they aren't in the mood to chase or tussle with large and frisky food items. Your big and frilly baits appear that way. However, you would also make your bait appear less frisky. Fish slower, as slow as you would need to get a reliable bite. If you twitched your bait every 6 seconds in the fall make it 12 secs in the winter, or experiment to find the best action. If you fish with weights make those weights smaller as well. And you would also need thinner and more invisible line. Fall water is usually clearer, and the fish are more easily spooked. But there are also less weeds to nick your line, so lighter lines may be a better idea. Given the recent surge of interest for carp fishing articles in this column recently, I've decided to write an article on making one of the hallmark baits for carp fishing: the iconic carp boilies. Even though carp are usually very wary creatures, they are just suckers (no pun intended) for brightly colored and well favored carp boilies, even though the boilies look like nothing they would eat in nature. They are hardish round baits which will last in the water due to being boilied, hence the name "boilies". The added hardness brought about by boiling prevents little panfish from stealing them. Additional flavors, and colors are also usually included in commercial sprays and mixes. The roundish shape and the hardness of the baits allows the baits to be catapulted with fairly decent accuracy from a slingshot. Boiled baits can also be left longer in the water without being dissolved or weakened as to fall off the hook, as bread or dough balls are apt to do. Above: Using a few ingredients, it is quite simple to make decent carp boilies at home. With boilies, you have the choice of buying them (almost every tackle shop or sporting goods store has them in stock) or making your own. If you are just starting out carp fishing, I recommend that you buy a few jars from a trusted supplier. After getting the hang of catching carp and baiting your own hooks, move on to commercial mixes that are supplied by tackle shops, and try making your own boilies. If you get a lot of success with those, then feel free to make your own concoctions, based on your experiences. Here's a very simple recipe that I often use. It's cheap, simple, and uses stuff that you probably have lying around in your cupboard. 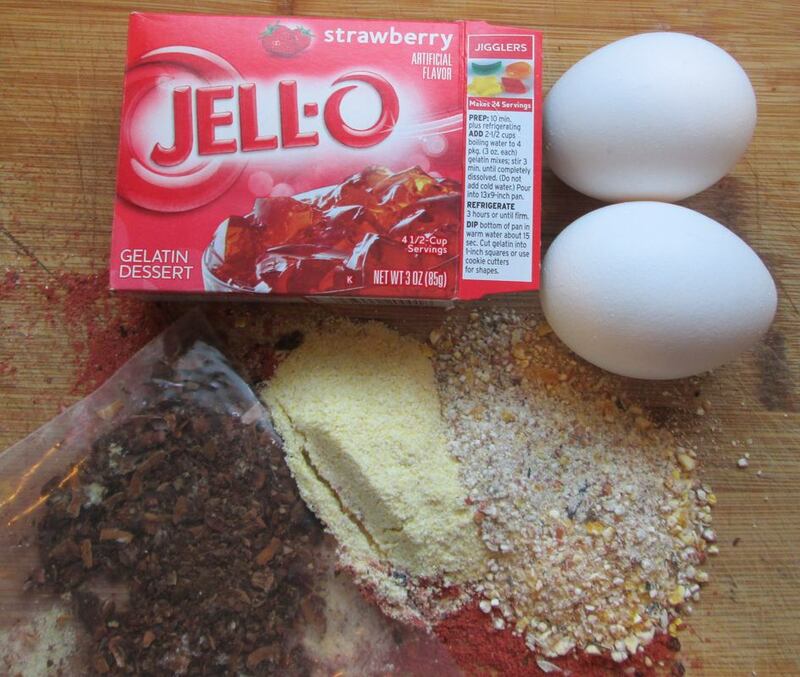 Simply mash it together in a nice cohesive mix. Blast it in the microwave for 30 secs so it is hard and then and form a ball around your hook. Even in the tiniest pieces of flowing water, there seem to always be fish. The bass in these small creeks may be small in size compared to those found in lakes and reservoirs; however, they still are extremely fun to catch. In addition to catching bass, the process of hiking through the creek and exploring the wild is also enjoyable. The main species of bass caught in these creeks are smallmouth, although largemouth bass and the rare spotted bass are caught occasionally. Above: A smallmouth bass that was caught in a creek that you could jump across. With ultralight gear, it even put up quite a fight. 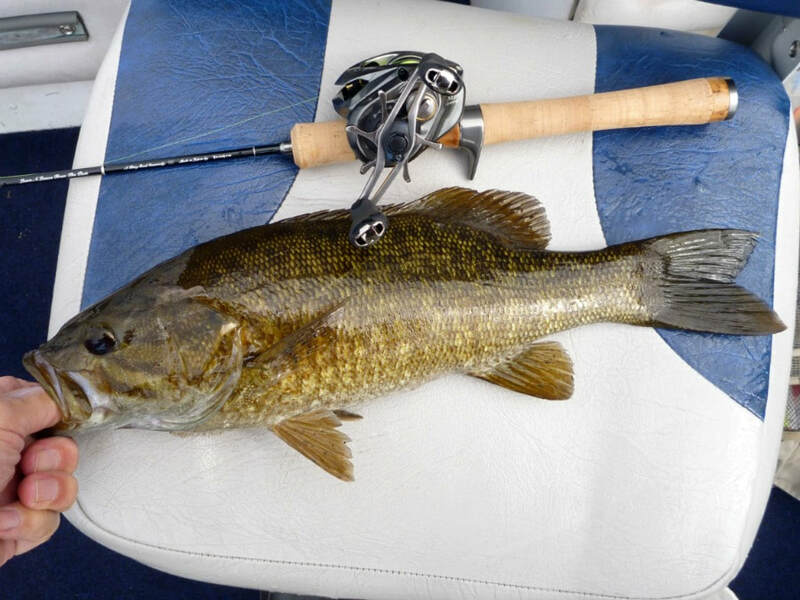 The best lures and minnows for catching these creek smallmouth bass are micro jigs (1/8th oz or less), small soft plastic tubes, live earthworms, incline spinners (1/8th oz or less), live minnows, and live crawfish. If the creek is large and holds large bass, it may be possible to use small live sunfish as well. Depending on the weather conditions, time of day, and the specific environment of the creek, the bass will prefer different lures, so it is possible that you will have to experiment a little bit before you start catching fish. The best locations to catch bass in creeks are cover (fallen logs, rock piles, etc.) and deep pools. I'm pleased to announce that we have gained a new columnist, Ved. Ved is an avid outdoorsman and specializes in creek and river fishing, usually with an ultralight spinning setup. He'll just about outfish anyone for creek smallmouth, and is also good with catching dinner-plate sized panfish and pond bass. He'll put his years of experiences on the water to good use on this blog, churning out a lot of interesting and useful content. I've gotten many emails from you guys wanting some more creek fishing content, so here it is! The addition of a new columnist will increase the amount of content on this blog, making it a better experience for all. We've grown from just 10 people viewing this blog weekly to hundreds. If any of you want to submit an article, please Contact me and we'll go from there. Chances are that if you like fishing and regularly fish, you would periodically upgrade your gear. We as anglers always want the flashiest new thing that shows up at iCast, or one of myriad of fishing magazines, whether if it's a rod, reel, lure, or line. I remember the iBobber craze that started among bass fishermen here in the Mid Atlantic after several fishing YouTubers posted videos featuring them. The sheer size and assortment of baits and terminal tackle on sale ensures that you will never leave a tackle shop without buying a few items. Whether or not that new gimmicky catches you fish or not is another story. What's certain is that the costs of buying "just one bait" here and another there, even if they are good baits, adds up, and quickly. Regardless if you binge buy or only buy quality items. Above: As bass fishermen, we are constantly bombarded by aggressive advertising, promotions, and even flashy buildings; it's easy to see why so many anglers buy things that they really don't need. If you are a corporate executive, banker, or big shot musician, you probably don't need to read the rest of this article. However, ordinary folks and students are often tightly restricted in terms of budget on what they could buy. I remember buying a dusty old Zebco baitcasting combo as my first baitcaster because that was all I could afford at the time. It's easy to cut corners on quality when you have a tightly restricted budget. However, at the same time, many people who are struggling to upgrade their fishing tackle often have a lot of fishing stuff they don't need, such as their first rod. A fast and easy way to earn a little money to spend on new tackle is by selling your old tackle. The two most common outlets for this are online (such as ebay) or at yard sales (preferably ones for the community; that way you can reach more people). I prefer yard sales for larger items that aren't expensive but would cost a lot to ship, such as lower end rods and tackle boxes. I usually mark down the prices of used items by half or slight over a half of the initial price. Before selling the product, make sure to wipe it with a wet towel to clean off any stains that may cause it to look old and thus command a lower price. Be ready to haggle. For smaller items that are at least mid-range in terms of price (higher end baits, reels, expensive rods, etc), I like to sell online, especially if the item in question is higher end or for a niche application. An example of this would be those expensive and highly specialized crankbaits that have depth diving controls; an ordinary person at a yard sale won't realize the truly value of the item but a bass angler browsing online would, and will buy it from you at a fair price. You only want to sell items with a higher cost because shipping will deduct from your profits. Shipping is fairly cheap for smaller items; you can ship them in larger envelope with USPS First Class Package ($2.50), which includes tracking. 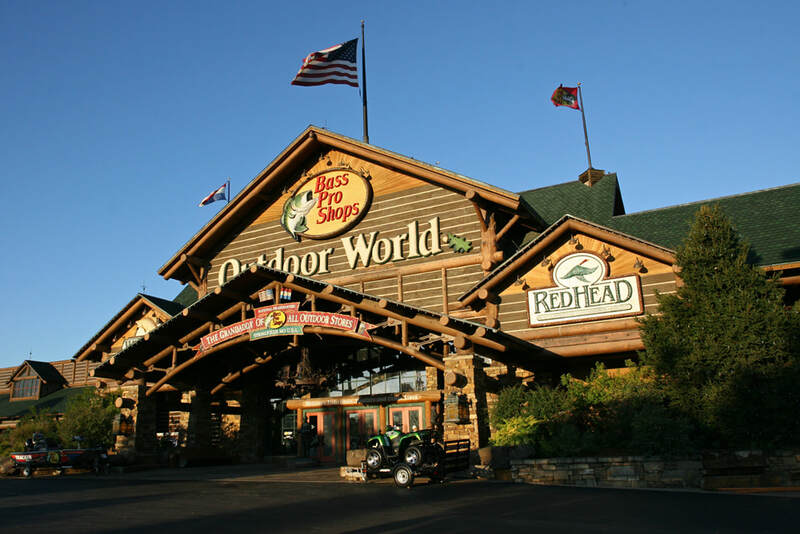 The cost of shipping rods varies, from $15-30, depending on your post office. Shipping reels and other medium sized items can be done in a Small Flat Rate box, which costs $6.50. It's a nice, beautiful sunrise at the lake. You can already see the bass swirling at the surface of the water, surrounding a shoal of hapless bluegill. Your heart thumps with excitement, and you race towards the shoreline, rod in hand. You spot a nice pile of structure, a log jam. You can already see 3lb+ fish cruising around, looking for anything to bite. Your heart feels like it's going to burst out of it's chest. You quickly pull out your rod and cast towards the structure pile. In your excitement to catch a fish, you got careless and made a sloppy cast, snagging your $15 jerkbait on a large pierce of wood. The first thing you do is swear. That's the natural reaction to these kinds of things. Then you tug on the line, hopping to pop the bait right on out. Unfortunately, it doesn't. Your heart drops, and that feverish excitement fades for a brief moment. You bite the line with your teeth, tie on a new bait, and make a more careful cast this time. You are promptly rewarded with a 3lber, and tat excitement once again returns. You continue fishing. Above: Pretty much any sturdy knife can work as a fishing knife. However, a month later, when you show up at your dentist's office, he takes one look at your teeth an wags his finger at you. Your tooth is chipped. And that's just one of the more visible side effects of your teeth as an all-purpose fishing tool. Not only do you chip your teeth when you bite on fishing line, you also run the risk of swallowing/ingesting harmful chemicals that may have been in contact with your line. A better option would be to buy a sturdy knife to cut line with and cut up bait, or dig one up in your basement (everyone has a knife somewhere in their house). 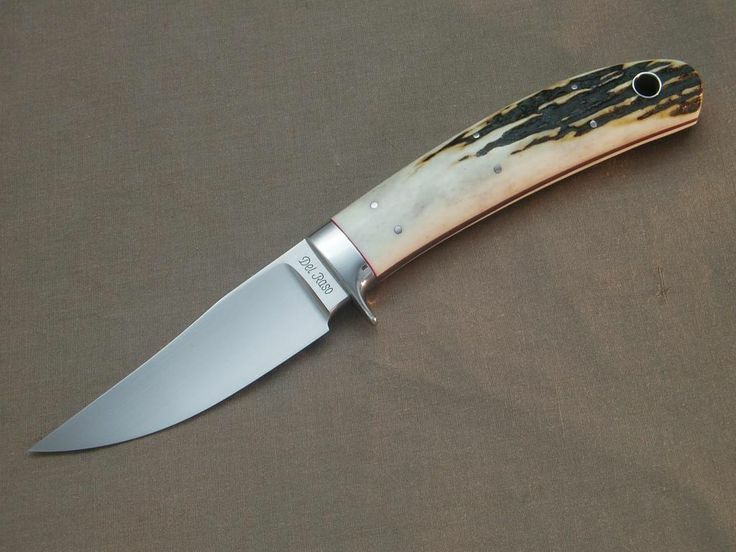 You don't have to buy a very expensive one, just about any knife will do the trick here. As covered in our previous article, crayfish make great bait, not only for bass, but for other fish as well. However, crayfish often die and go foul before you take them to the lake. I remember the first time that I went fishing with crayfish. After catching about 40 of them at a local creek, I put them in a bucket with a lid and left them for about a week. I didn't drill any air holes, have an aerator installed, or change the water. Needless to say, when I opened up the bucket a week after, a foul smell and maggots greeted me. 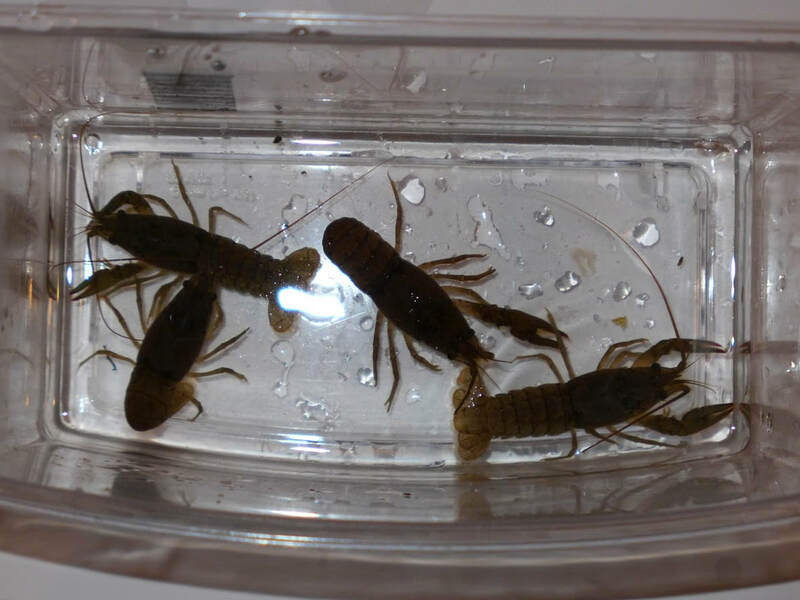 In this article we will go in depth about the proper storage and care of live crayfish before you use them to go fishing. Above: When storing them in water without an aerator, make sure that the water is not over their heads; otherwise, they can drown. 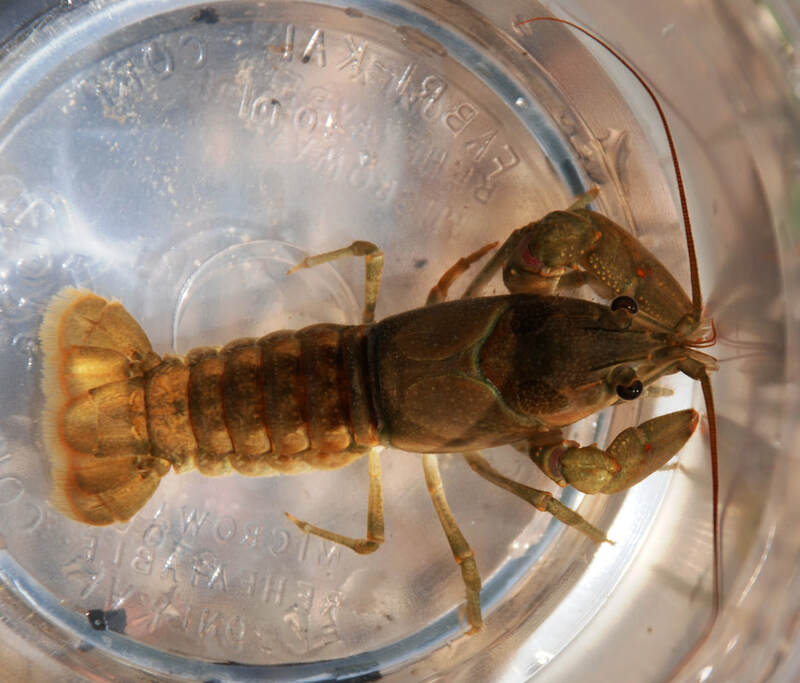 Most people store their live crayfish by putting them in a bucket, filled with water, with an air pump, similar to how one would store live minnows for bait. While that method does work for short term storage, it certainly isn't ideal. Crayfish are unlike fish in that they have specialized gills that can breathe underwater as well as outside of water, provided that the gills are kept moist. If you have ever bought or kept pet hermit crabs, they have a similar kind of gill, only even more specialized. Of course, in order to breathe air, they must first have access to it. These specialized gills have evolved to allow crayfish to live in oxygen poor aquatic environments, such as swamps and ditches, thus, they prefer shallow water. If you keep crayfish in deep, oxygen poor water with no means of getting out of it, they will "drown". While the aerator work for a time to keep oxygen in the water, eventually the bottom, where the crayfish are, will be oxygen deleted, and they will drown; unlike fish, crayfish can't swim up the water column to near the surface, where there is more oxygen. The aerator not only will be a waste of electricity, it may also not work in keeping your bait alive. I used to use the before mentioned method, but I would often have massive die backs. The method I prefer will not require an aerator, so it will save you method. It involves cleaning up a plastic tub (crayfish are sensitive to some metals and chemicals, such as copper), and filling it with a layer of 0.5"-1" with stream water. Make sure the water is not too high so that the crayfish can drown. Drill some air holes and put on a lid; crayfish are very talented escape artists, Next, add some stones that are above water level so the crayfish can crawl out of the water to breathe. Finally, add your crayfish. Don't overcrowd them; if you do, crayfish will fight and some will die. Put the tub into a fridge, near the door. The cool air will slow down their metabolism so they don't need as much oxygen and don't pollute the water as much. As all bass anglers know, crayfish are some of most favorite foods of bass (and many other fish too! ), both largemouth and smallmouth. In fact, they are the most favorite food of smallmouth bass. Their shells and pinches do not seem to deter hunting bass - in fact, it seems to entice them more. Crayfish are found just about anywhere there is a population of bass, and are sometimes the staple prey item in the diets of some bass populations. Crayfish are a normal food item for bass, and fishing a crayfish is a surefire way to land a decent fish. Above: You can catch crayfish in creeks and ponds with homemade traps or by net. If you are a beginner bass angler, struggling to catch his first fish, then live-lining a crayfish or live shiner is your best bet towards catching a first bass. The natural movement and texture of those live baits will negate any problems you have with presenting artificial lures. Catching a first bass is a great confidence booster that will send you onto your journey of being an expert bass fisherman. ​ Acquiring live crayfish is quite easy. 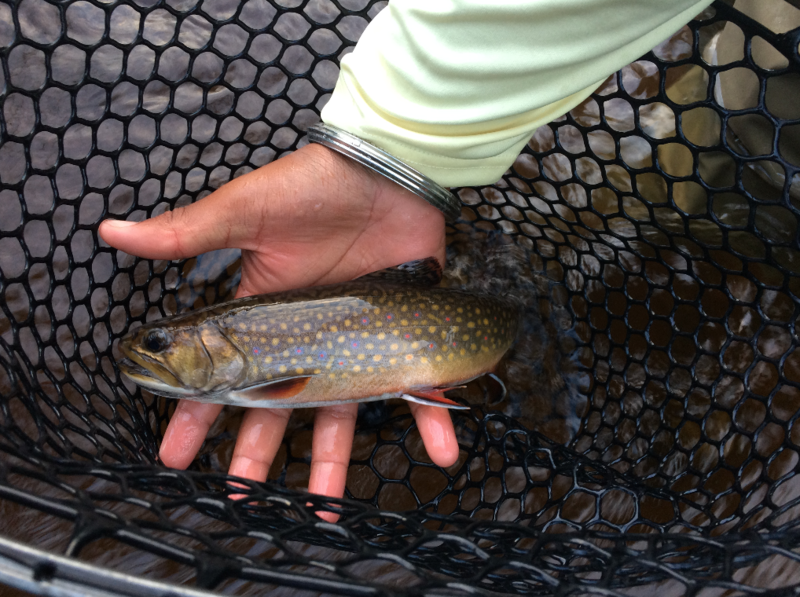 Simply go to your local creek or pond with a net, or you can use traps. You can buy crayfish traps online and at sporting goods stores, but you can also make traps out of chicken wire or plastic bottles. Here are the instructions for one that I use. For bait, I like to use bits of stale meat or cut up bluegill (the crayfish especially love the scent of the blood and guts), but any meat you have on hand can work. You can also go to a local Asian market and buy crayfish. The ones sold in stores are massive, larger than the ones you catch. A pound is usually $3-4. If you live down South, where crayfish is more commonly consumed, then the price is usually cheaper. If you buy live crayfish at a store, make sure to only buy the most lively and feisty ones. The crayfish endure a lot of stress during shipping, and the more lethargic ones may be half dead. To store crayfish, simply put them in a bucket with an aerator. Don't crowd them too much, or otherwise they may fight or dirty the water too much. You can also store them in a fridge, wrapped between sheets of wet paper towels. They don't need water to breathe, but their gills must be kept moist.